Filling out field after required field can rot your brain. Save a huge amount of time by automatically unrequiring required fields. October 3rd, 2015: You can now download code as a plugin. * submission. This snippet saves you that hassle by unrequiring all required fields so you don't have to fill them out. * Description: When bugs pop up on your forms, it can be really annoying to have to fill out all the required fields for every test submission. This snippet saves you that hassle by unrequiring all required fields so you don't have to fill them out. I’ve been using this snippet for quite some time with my Gravity Forms development. I never thought to share it until a client was complaining to me about how much of a hassle it was to test their multi-page registration form with each page chock-full of required fields. This is exactly why I use this snippet. 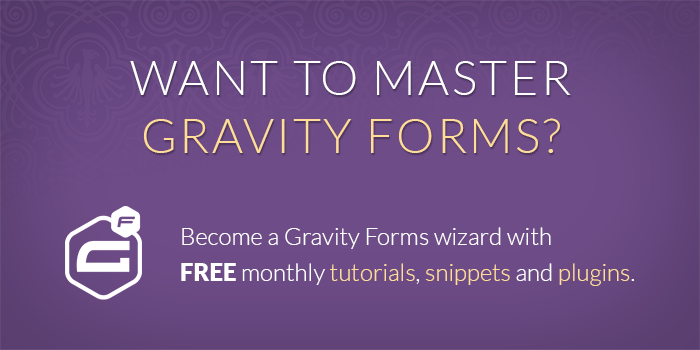 I work with Gravity Forms all day every day and given Gravity Forms’ continuing popularity, there is a good chance you have found yourself working with this awesome plugin more and more. And the more you work with Gravity Forms, the more you realize how mind-numbingly tedious it is to enter field after field of dummy info so you can submit the form without hitting the required field validation error. This will work with even Gravity Forms v1.0 but that’s no excuse not to be running the latest version. You’re good to go! 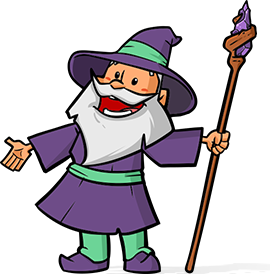 Make sure you are logged in as an administrator and add gwunrequire as a query parameter to any URL where you are displaying a Gravity Form to bypass any required fields. There are some configuration options available. Review the usage instructions below for more details. The basic usage requires that the user be logged in as an administrative user and that the gwunrequire parameter be present in the query string. Allows you to unrequire fields without being logged in. Not advisable for live servers. You may find that you don’t want to be bothered with having to add the query parameter. You can disable this requirement to allow administrative users to automatically bypass required fields. admins_only (bool) Only allow administrators to bypass required fields. Defaults to true. require_query_param (int) Require the gwunrequire query parameter to be present in the query string to bypass fields. Defaults to true. You might think it would make more sense to simply wait until you’ve ironed out all the kinks before setting your fields as required. That is viable for small forms, but for larger forms it can be very painful to go back through tens (hopefully not hundreds) of fields to set a single setting. With this approach, you can configure the field completely the first time through. No need to hassle with the tiresome task of marking each field as required at the end, or worse, forgetting to do so. If you are debugging new issues that have popped up with old forms, you will be especially appreciative of how much time this snippet can save you. This is the scenario that I have found this snippet to be the most beneficial. I hope you find this useful and look forward to any feedback you have! Hi – Seems like a nice plugin, but not able to make it work. As there are no plugin settings, what exact query string do I need to add at the end of the form URL when logged in as an administrator, is it always “?gwunrequire=1” (without the quotes) or something else depending on the form or page id. I tried the ?gwunrequire=1, but it doesn’t work. Any guidance please.